Background: Deficiencies in continuous improvement of health care organizations caused by neither the failure of professional compassion nor necessarily a lack of resources. Rather, results from gaps in knowledge, readiness for change, sustaining change, inappropriate applications of available technology, or the inability of organizations to change. Objectives: The central purpose of this study is to examine the contribution of change management for continues improvement within Adam Hospital Medical Collage. Methods: Descriptive cross-sectional research design was applied. The total number of target population is 226, out of this 180 respondents was sampled through probability sampling method. The questionnaire consisting of both open and close ended questions was used to collect data’s. Descriptive and inferential statistics was used to analyze the data. Descriptive statistics that were used in the study are mean and standard deviation. Inferential statics used was Pearson correlation and multiple regression analysis to find out the contribution of change management for continuous improvement. Results: The findings confirm that there is a significant correlation between change readiness, sustaining change, change resistance and continuous improvement of Adam Hospital Medical Collage. More specifically this research confirms the findings of earlier work and reveals the same pattern of correlations between the variables. 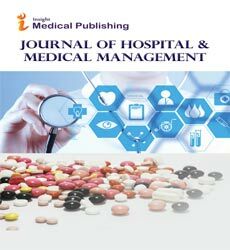 In addition the findings suggest that there is also a significant impact of change management (readiness, sustaining & resistance) on continuous improvement of Adam Hospital Medical Collage. Conclusion: To sum up, all findings clearly depicts that change readiness, sustaining change and continuous improvement were low and resistance to change was high in the organization.